Your Email’s subject line is the most important factor that decides if it will be opened or not. It is the first impression you have on your recipient. You don’t get a second chance to make a first impression. 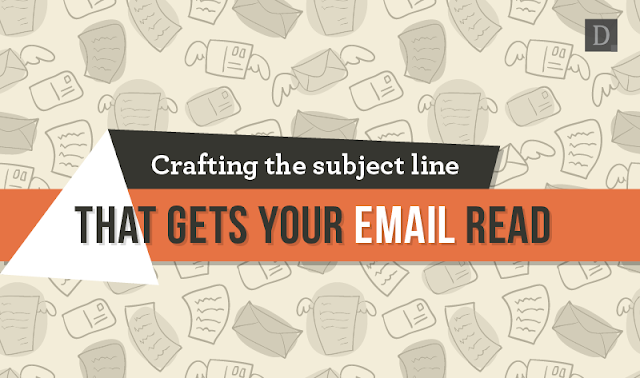 Here are 7 tips to craft killer subject lines for your emails. Your subject line should be a maximum of 50 characters and to the point. Email services tend to truncate long subject lines and show only the initial few words. Most people use mobile phones to open emails. Being able to read a complete subject line encourages viewers to open your mail and read the message. It is important to tell the viewer how he/she will benefit by opening your email. For example, “Increase sales by 25% in a week” is more appealing than “Learn how to grow sales”. If your subscribers don’t understand what they stand to gain from your mail, they won’t see any reason to open it. Just like blog post titles, using numbers in your subject lines is an effective way to persuade viewers to open emails. People tend to think that a numbered list such as “5 ways to increase sales by 50%” contain useful information and get curious know more about it. Every email service has spam filters that look for specific phrases and words in your email to ensure you’re not sending spam. There are many free online email spam checkers you can use to check if your email content might be flagged as spam. Similarly, avoid over-capitalization of subject lines. Saying “FREE 30 DAY TRIAL” won’t improve your open rates. In fact, it’ll do the opposite. Try A/B Testing to figure out which subject lines result in the best open rates. A/B testing allows you to measure open rates for each variant of email and select the most suitable one. There are many email software like Mailchimp, Yesware, Toutapp, etc. that help you measure open rates for emails. You may have a long list of subscribers and awesome content to share with them but you need to prove it through your subject line. If you’re email isn’t getting opened, your message is getting lost. Great email subject lines help you get your foot in the door and begin the conversation. Sreeram Sreenivasan is the founder of Ubiq, a new Business Intelligence and Reporting tool. He's interested in the latest Business and Technology trends.